True Mobile Caller ID Locator & Call Blocker will help you to identify true incoming caller details like Caller ID, Location of the Caller, Telecom Provider details like city and state etc. It will also help you to block unwanted spam callers using Call Blocker feature. 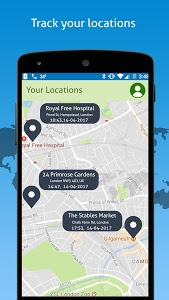 True Mobile Caller ID Locator & Call Blocker is a unique app which will help you to track where your mobile phone is during the day and night using GPS Location History. 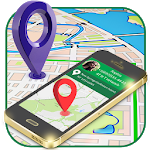 It will track your mobile live GPS location time to time and show you your mobile location history on google maps so you can easily track your list of visited places during the day and night. Locate you on the google maps will help you to identify your visits day to day. 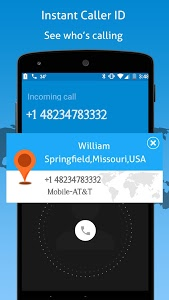 True Mobile Caller ID Locator & Call Blocker will also help you to search and identify caller details offline using phone number such as location of the phone number like city and state and telecom circle and telecom provider of the number. 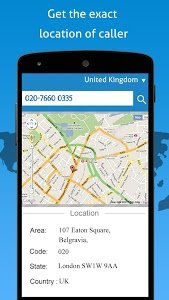 True Mobile Caller ID Locator & Call Blocker will work offline so no need of having internet connection to search the Phone Number from the millions of phone numbers. Knowing mobile phone caller information is useful before attending their calls. When you use mobile to call to a contact from your phonebook its easy to know their location before you call them like their city and state and telecom circle and telecomm provider. 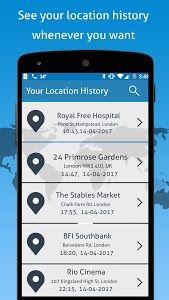 True Mobile Caller ID Locator & Call Blocker will not steal and upload or store user’s sensitive data like Phone Book and Location anywhere in the server so need not to worry of data theft. Caller ID: When you’re busy with the work and when you receive a call from an unknown number, it's important to know the caller details and decide whether you want to attend the call or not. Caller ID will help you to know the caller details like the location of the caller like city and state of the caller etc. 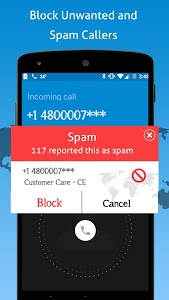 Call Blocker will help you to identify spam callers/numbers, Telemarketers, Unwanted callers, Blocked Calls and add them to call blocker or spam blocker so that you will never receive again a call from these numbers. Whenever you want you can un block number to receive calls again. Search for Caller Details using Phone Numbers. Block Unwanted calls using Call Blocker or Spam Blocker. 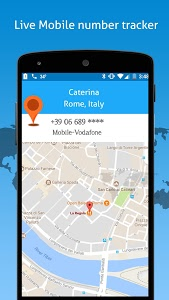 Track your mobile location on Google Map. Track day to day Mobile Location History using its GPS on Google Maps. Disclaimer: True Mobile Caller ID Locator & Call Blocker app will not upload any of the User Sensitive Data such as Phone Book and Location to the Server. It will work 100% offline. Similar to "True Mobile Caller ID Locator & Call Blocker"